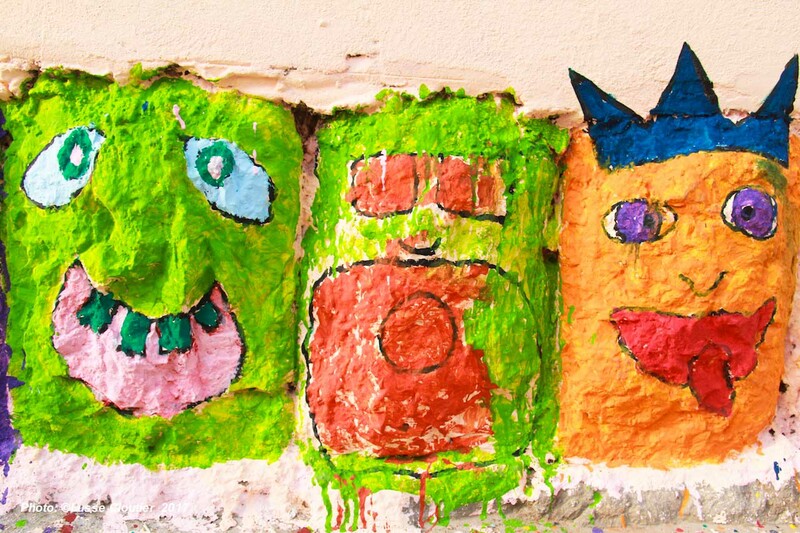 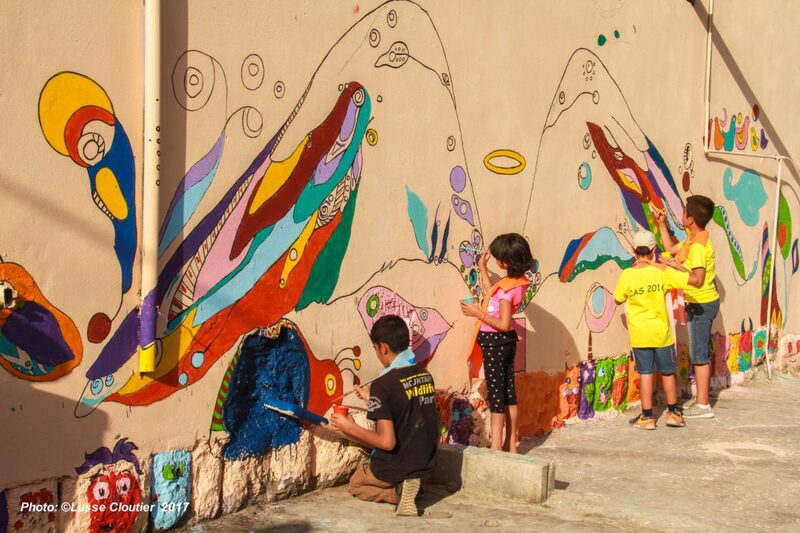 ‘Paradise Wall’ was conceived as a project with the dual purpose: beautifying local community spaces, and bringing local children together to express themselves creatively in a public forum. 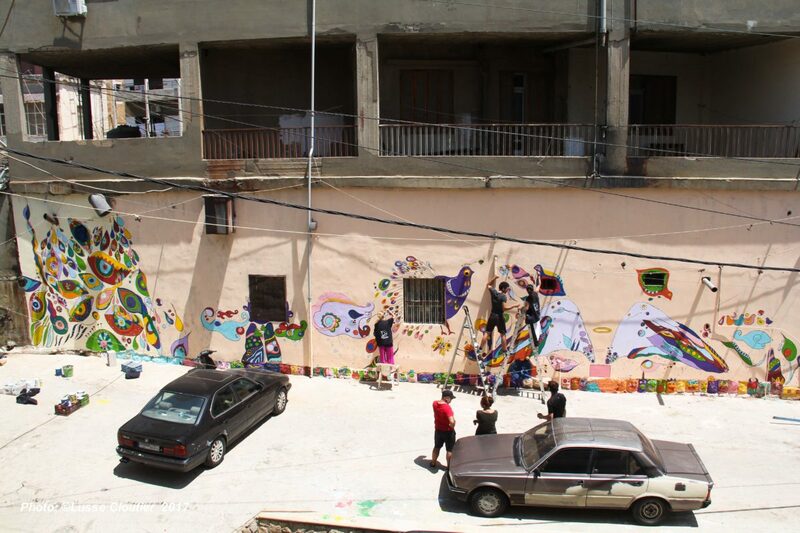 The project was driven by a visiting artist who has worked around the world creating murals and installations. 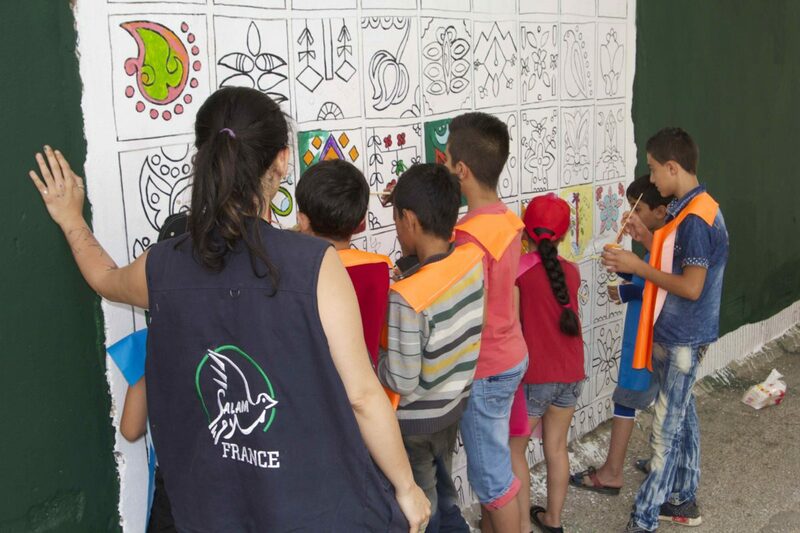 Using her talent and experience, the aim was to bring children of local host and refugee communities together to work towards a common creative goal. 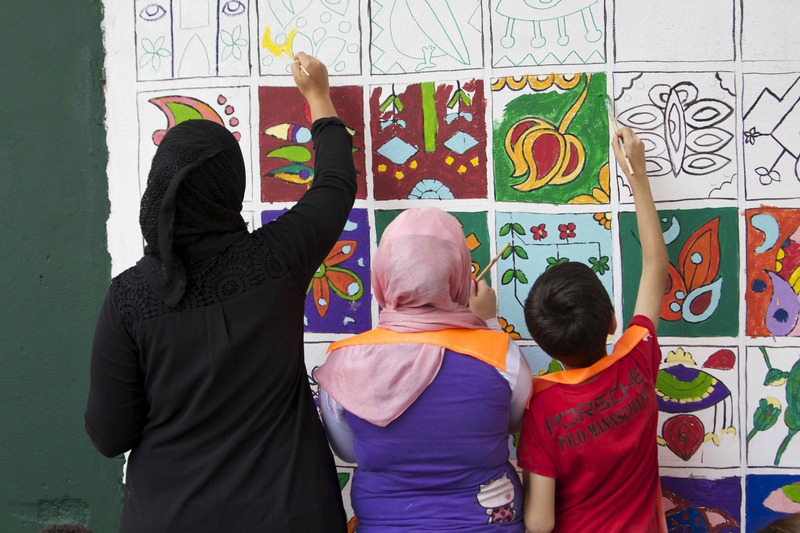 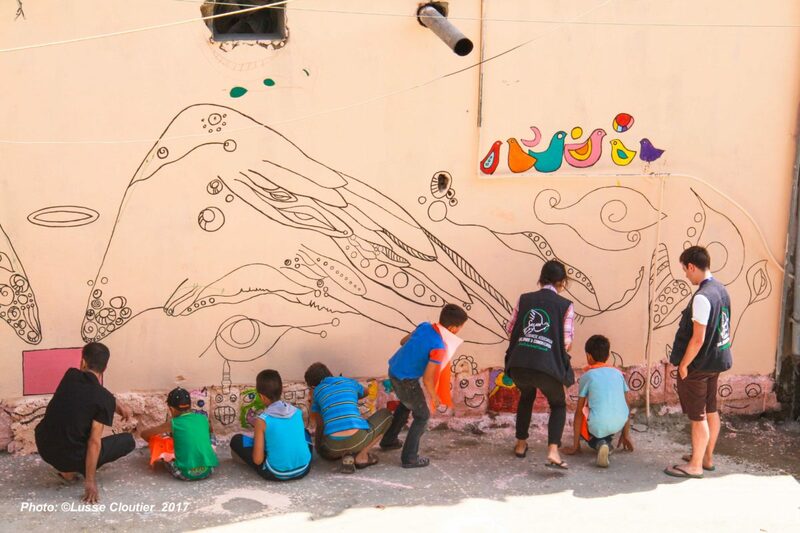 Through a series of workshops and the transformation of two large walls into colorful murals in the Qab Elias municipality, friendships were formed and memories created between the 120 Lebanese and Syrian children who were involved.